Azerbaijani grandmaster Eltaj Safarli will join this year's Sunway Sitges Chess Festival 2018. The chess festival will take place in Sitges, some 40 kilometers south of Barcelona, on December 14-23 with over 300 chess players. More than € 25,000 will be distributed among chess players. Sunway Sitges Chess Festival is held since 2014. GM Eltaj Safarli won the Azerbaijan Championships in 2010 and 2016. 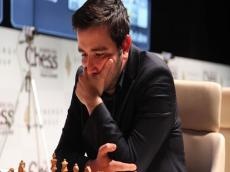 He played in the silver medal-winning Azerbaijani team at the European Team Chess Championship in Porto Carras in 2011. His 7.5/11 result in the European Individual Championships (2013) qualified him to play in the World Cup (2013), where he defeated Egyptian #1, GM Bassem Amin in the first round, moving to round 2 where he lost to Hikaru Nakamura. He was second reserve for the bronze medal winning team SOCAR in the European Club Cup (2013) in October 2013. Chess for centuries has been a popular game in Azerbaijan with ancient roots closely related to traditions. The country could preserve these traditions as the chess remains to be a crucially popular sport for now. The active development of chess in Azerbaijan began in the 1950s. Azerbaijan women's championship has been held regularly since 1960. Azerbaijan Chess Federation was founded in 1920. The national chess players have always been taking high places at top-ranked tournaments.